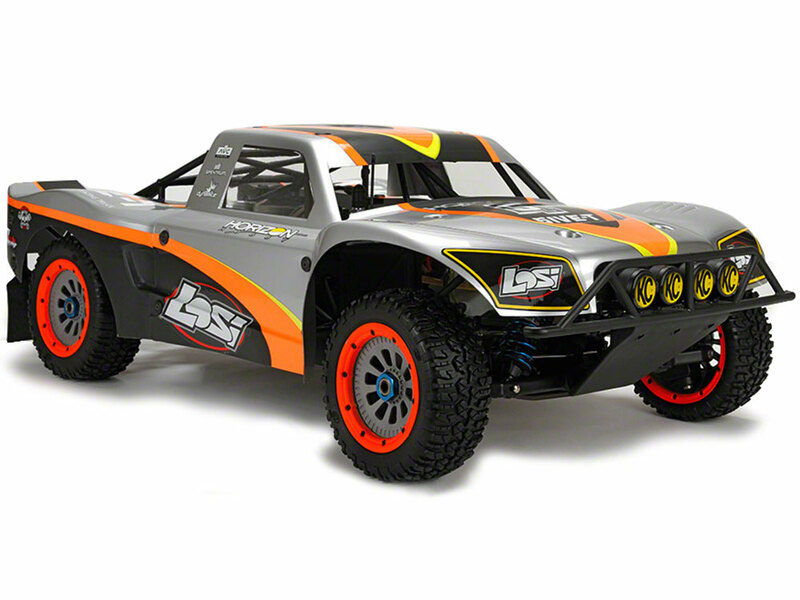 The Team Losi 5IVE-T RTR 4WD Truck is a 1:5 scale off-road ready-to-run truck that is big in size and fast in speed. With its RTR setting, not much of assembly is needed, which makes it an ideal truck for those looking to drive the second they get their RC truck and especially new drives who know nothing about building an RC Truck. The engine is powerful, the steering control is excellent, and the driving experience is exhilarating. And if that’s not enough, the engine is loud and the body can take a beating. As you read our Team Losi 5IVE-T review further, you will learn that this truck is just about as good of an RC Truck as you can get! In this review of the Losi 5IVE-T, we will start off by covering the specs and features, then move on to the performance, pros, cons, and more. If you want to see this compared to other gas RC trucks of it’s stature, you can read our Best RC Gas Truck article where it topped the charts for being our favorite. With the purchase of Team Losi 5IVE-T RC Truck, you will receive a unit of the truck itself, the radio controller, the battery and its charger, several additional tools as well as an instruction book. There is also two stroke oil for you to use. All you need to do to prep the truck is to charge the battery of the transmitter, buy some gas and mix it with the provided motor oil and fill it into the tank. The RC truck comes with a body dimension of 41.9×22.7×18 inches and a weight of about 40 pounds. These measurements scream robustness and stability. Other parts included in the box are a premium 5mm thick plate aluminum chassis, 19-tooth pinion gear, four 4.7-inch wheels, 1.5 module gear pitch, 1/4-scale servos, and CY26cc Dynamite engine. To control the vehicle, you will use the provided 2.4GHz Spektrum DX2E transmitter. It comes fully equipped with DSMR technology, which translates to longer and clearer wideband range. The 5ive-T truck powers on a two-stroke gasoline engine while the radio controller requires the use of 3000mAh 6V NiMH battery packs. Another cool part of this truck is that the electronics have been proven to be water-resistant. You can spray this truck clean with a hose of water after a muddy ride and not have to worry about damaging it. Plus, you can also run it outdoors on snowy or rainy days – there is no limit with this truck! However, to be on a safe side, we will not encourage you to soak it fully underwater. With its super-big size, you might think this 5ive-T truck is sluggish. It is quite the opposite. Regarding the speed performance, the truck is a beast! Even with its monstrous size, it is still capable of speeding up to 45 mph. It also can run on just about any types of roads and terrains. You can run it smoothly on a grass field or a sand desert – you will not be disappointed. Durability wise, the parts and components are very robust. They are made from high-quality plastic and metal materials. Some users have tested its reliability. He ran it into trees and telephone polls, and yet, the truck experienced only minor scratches! He even nose-dived it onto the road and rolled it aggressively. Lo and behold, the truck survived! Without a doubt, you can expect a non-stop adrenaline rush with this kind of speed and durability. Another important element of an RC vehicle that we should pay attention to before making the big purchase is its maneuvering and steering performance. In this aspect, the truck does not disappoint at all. Some users have attested that the truck steers very well. It can turn into corners and drive on bumpy roads effortlessly. Furthermore, the clutch transition is also quick and smooth. It responds well to the throttle signal sent from the radio controller. Another thing that we love about this truck is how loud the engine roars during its actions. It is fulfilling to hear such a roaring sound while speeding up on the race track! With such fun experience, we need it to offer a long driving duration. The 5ive-T RTR truck requires an installation of the 2-cycle oil and 90 Octane of gas before it can start running. Once the tank is fully loaded, you can expect to run it for as long as 45 minutes! This is way better than other similar electronic trucks that can only go for as long as 20 to 25 minutes. If you are an advanced user, this Team Losi truck model is a great option for you because the truck is open for modifications and upgrades. For example, you can change the air box and air filter to experience better performance. Filters with a higher quality are readily available online or in-store for you to purchase. Some users have reported that the original air filter is a bit lousy as it still let dirt get in into the inner part of the truck. Plus, you can also upgrade the transmitter. The one that comes with the purchase is very basic. There is only a single switch for you to use to control the truck. If you upgrade it to a 4-channel remote, say DX4x, you can get more controls. With this upgraded remote, you can fine tune the steering and throttle the AVC individually. The two positive things of this truck that we would like to highlight in this review are its versatility and durability. You can expect the RC truck to do some marvelous extreme stunts like jumping, flipping, drifting and simply, speeding. Do not let the size fools you! Plus, accidents do happen sometimes, but you do not need to worry about having to replace its parts often – they are sturdy! The maintenance cost of this model is also quite cheap in the long run, even though the selling price is quite high. The parts and components are made to stand the test of time. For example, the front and rear stainless steel plates can survive crashes and abuses. If you resort to a cheaper truck that has less durability, there is a chance for the cost to build up over time, what with the repairs and replacements of the broken parts. Such thing is not expected for the 5ive-T truck! Plus, this 5IVE-T model is also very easy to use. There is not much of fine tuning needed for the initial setup. You can simply fill in the gas, and it is ready to do its actions within minutes. Once you get used to this truck, you can start to change things around to enhance its performance. We believe that both new and experienced users will be able to take advantage of this easy-to-setup as well as highly modifiable truck and have fun while driving it! Before purchasing this truck, you should know that it does not have any reverse mode. There is no reason to sweat though because, with the efficient steering control, you can easily drift it and turn it around the opposite way without much problem. Another thing to consider is its basic controller. As mentioned above, you are advised to upgrade to a better transmitter. At a price tag above $1000, the truck is considered to be quite expensive. 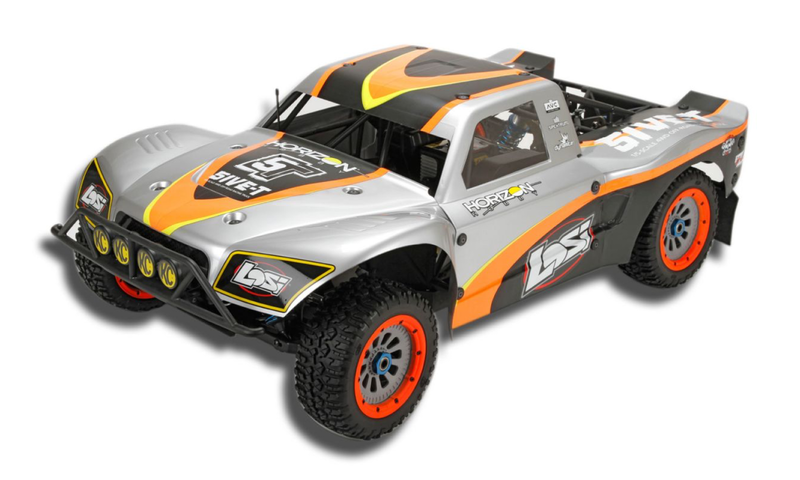 If you have extra money to splurge, we recommend you to buy this Team Losi 5IVE-T RTR Truck. Does it worth the money you ask? Yes, it is! However, if you happen to run short on the budget, you can always consider its little sibling, Team Losi Desert Buggy XL. It offers an almost similar performance even though the specs are a tad bit on the lower spectrums. The best thing about its little-brother model is its lower price of about $950 per unit. Overall, Team Losi 5IVE-T RTR AVC 4WD Truck is a keeper. It is very fun to drive, provides satisfying stunt actions and can survive rough terrains with ease. It may require a big chunk of money from your side (at about $1.5k), but you can take it as an initial investment. Once it is in your possession, you will be mind-blown by its performance – it is monstrous, tough, loud and most importantly, fast! I own, 3 Losi trucks, The 5t, The Mini, and DBXL. I love all of them, I totally agree with your statement about about the Losi, all My trucks are a Blast to drive, and very easy to maintain. To all new Comer’s once the RC bug has bitten you it’s hard to break, just as hard to break a Losi, 5t. As you can see 4 years running my Losi and Now I’m a proud owner of 3 . 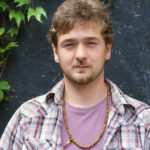 Love it Richard!! Losi are beasts for sure, and the RC bug is sure hard to kick! I own a Losi 5T it is a great truck but you absolutely need to buy a dust cover for the to protect the flywheel. To install the engine needs to be removed. No big deal. I ran in gravel without one and destroyed the fly wheel the first day, just glad the coil wasn’t damaged. Also add a killer bee kill switch as a safeguard.